The Colonial Gables Oceanfront Village is beautifully situated on ten acres in the heart of Coastal Maine. 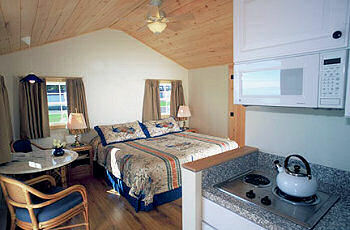 We offer motel rooms along with Studio, One and Two-Bedroom cottages all directly on the ocean. All units have private seaside porches. Cottages have kitchenettes. All units have color cable TV, phones with dataports and coffee makers.